Our story takes place in a small, tranquil village where the villagers are working hard to beautify the area in preparation for a wedding ceremony. However, peace is disturbed and the ceremony disrupted, when greedy developers swoop in and begin to wreak havoc on the land. 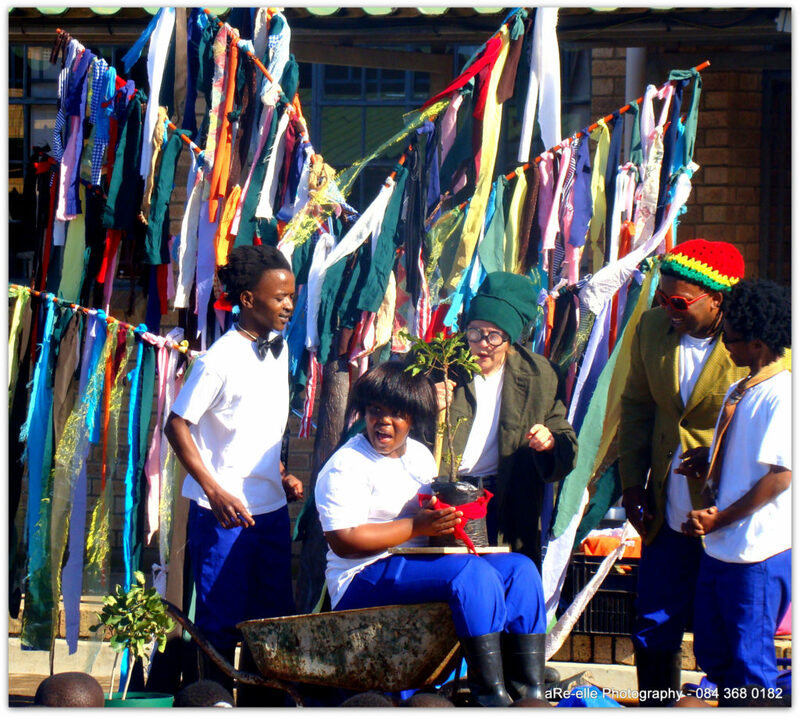 As more trees are chopped down and building continues, Mother Nature has to step in and through the voice of an old man, a great magical tree, airs her concerns to the developers and encourages them to change their ways before it is too late. 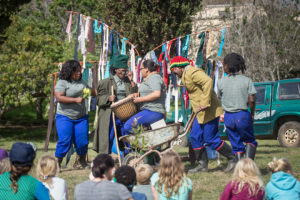 The Tree Show and workshop program celebrates indigenous trees as a vital part of our existence. 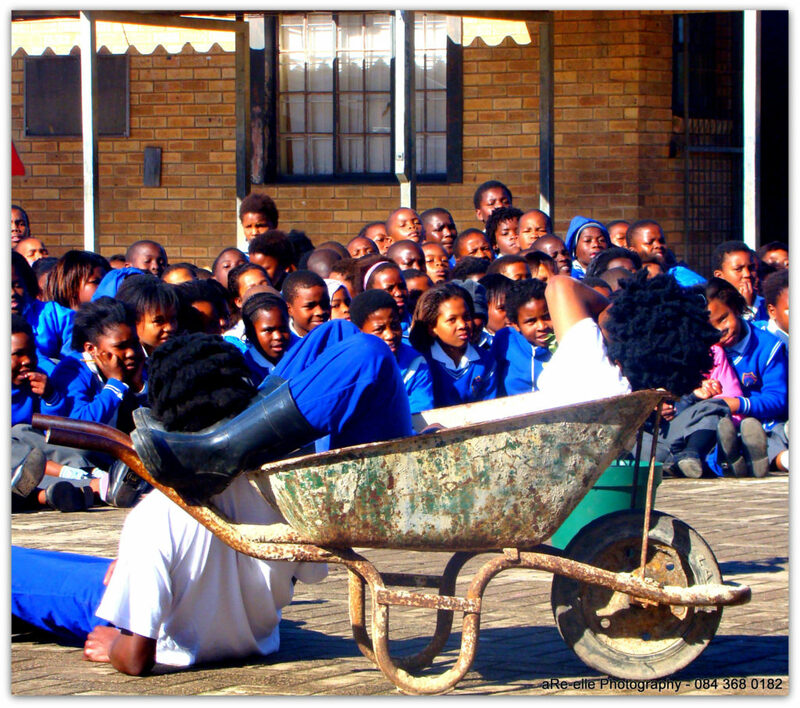 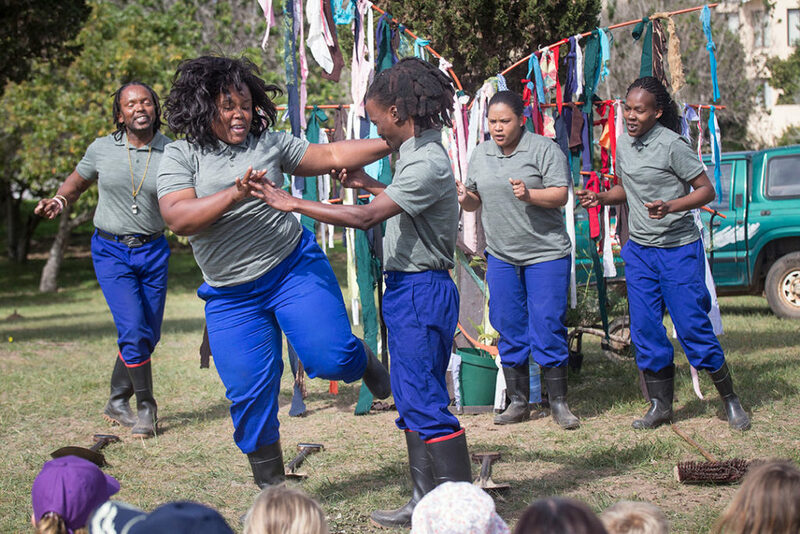 This fun show uses song, dance and drama to engage the audience in a lively and interactive storytelling experience. We look at current threats that trees face in the light of unsustainable development and conclude that we, as custodians of the planet, should work together with nature instead of against her. The show is followed by an interactive tree planting workshop at the venue where the show is performed. 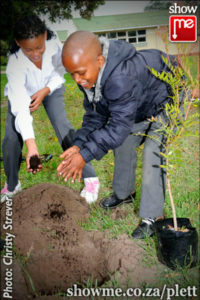 Children from the audience get actively involved in the planting of an indigenous tree that they will then be able to watch and nurture as it grows over the years. This tree stands as a reminder of the importance of trees to life on the planet.